retail and convenience store industry. 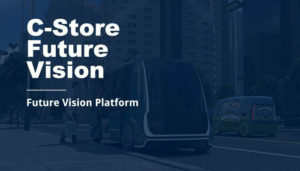 New Future Vision Insights platform to show how changes in the market, consumer behavior, and technology are set to converge. Retail innovation labs – incubators or tech hubs – aren’t confined to operations run b﻿y the likes of Amazon or Walmart. A new lab store from 7-Eleven underscores the innovation wave that is taking place in the convenience store sector of retail – a sector ripe for change, disruption and growth. The latest set of industry figures is out from the National Association of Convenience Stores (NACS), and the report paints a mixed portrait of the status of quick stop shops in the U.S.
To help meet customer expectations in the digital age, retailers have to know who their shoppers are and what they want. While digital retailers already have this information about consumers, brick-and-mortar retailers don’t have this in-depth knowledge. New digital innovations, however, provide the promise of offering valuable customer data to merchants. The pizza chain on Monday announced a partnership with automotive commerce platform Xevo Market to create an app that lives on the infotainment touchscreens of connected cars. It will allow consumers to tap a few selections to order a Domino's pizza for pick-up at their nearest store or for home delivery while they're driving. The days of just using your car to get from Point A to Point B are over. Today, cars are not only collections of gears and steel, but they are also becoming as technologically innovative and connected as the average smartphone. In an ever-evolving retail environment, keeping customers happy is more complicated and more important than ever. Today’s consumers connect with brands across multiple channels, which complicates the process of recognizing, servicing, and rewarding loyal customers. More c-stores are looking into frictionless payment options as Amazon raises the bar. A 7-Eleven Where You Can Work Out? “Give the customers what they want, when and where they want it,” 7-Eleven founder Joe Thompson once said. Well, Taiwan’s 24-7 7-Elevens are the true embodiment of that motto. In October, Walmart-owned Sam’s Club opened a test store in Dallas where it planned to trial new technology, including mobile checkout, an Amazon Go-like camera system, in-store navigation, electronic shelf labels and more.